يقع فندق جريت ساوذيرن سيدني في منطقة مشهورة للغاية في المدينة. هذا الفندق هو من الخيارات الشائع بين المسافرين. يقع مركز المدينة على بعد 0.5 Km فقط. ويمكن الوصول إلى المطار خلال 30 دقيقة. إن سهولة الوصول من الفندق إلى المعالم السياحية الشهيرة الكثيرة في المدينة هو استثنائي بحد ذاته. يعمل فندق جريت ساوذيرن سيدني على ضمان إقامة مريحة لضيوفه من خلال خدماته الممتازة وحسن ضيافته. يمكن الاستمتاع بمجموعة من الخدمات على أعلى المستويات في الفندق كمثل كازينو, مكتب استقبال 24 ساعة, تسجيل وصول/مغادرة سريع, تخزين الأمتعة, مطعم. في الفندق غرف نوم يتجاوز عددها 167، كلها مجهزة بعناية وجمال وبعضها مزود بـ مناشف, تلفزيون بشاشة مسطحة, مرآة, سياسة التدخين - غرف لغير المدخنين متاحة, مكيف هواء. يقدم الفندق خدمات رائعة كمثل مسار جولف - ضمن 3 كم لمساعدتك على الاسترخاء بعد نهار طويل من النشاط والتجوال في المدينة. إن فندق جريت ساوذيرن سيدني هو مكان مثالي للمسافرين الذين يتطلعون إلى الراحة والاستجمام في المدينة. خدمة حفظ الأمتعة متوفرة نظير رسوم إضافية. يتوفر إنترنت سريع وبوفيه إفطار ساخن (يُقدم بين الساعة 6:30 AM - 10:00 AM) نظير رسوم إضافية. يجب دفع مبلغ تأمين بقيمة AUD 50 عند تسجيل الوصول لتغطية أي تكاليف أو أضرار قد تحدث أثناء فترة الإقامة وسيتم إعادته عند المغادرة. من المقرر إغلاق مكان انتظار السيارات اعتبارًا من 3 يناير 2017 إشعار آخر. هناك أعمال بناء جارية بالقرب من مكان الإقامة من 1 مارس 2017 وحتى 31 ديسمبر 2019. يُرجى الانتباه إلى تعرض بعض المناطق للضوضاء خلال هذه الفترة. ستخضع بعض غرف النزلاء للتجديد من 1 أكتوبر 2018 حتى 30 يونيو 2019. سيكون هناك ضجيج في بعض المناطق من الساعة 7 صباحًا حتى الساعة 6 مساءً. لطرح أي استفسارات أخرى، يُرجى الاتصال بالعقار مباشرةً. سيتم إغلاق The Thomas Street Lift (Lift # 3) في الفترة ما بين 1 مارس 2019 و31 يوليو 2019. سيكون هناك ضجيج في بعض المناطق من الساعة 7 صباحًا حتى الساعة 6 مساءً. لطرح أي استفسارات أخرى، يُرجى الاتصال بالعقار مباشرةً. هناك أعمال تجديد في العقار. سيكون هناك ضجيج في بعض المناطق من الساعة 7 صباحًا حتى الساعة 6 مساءً. خلال هذه الفترة، يمكن الوصول إلى بعض غرف النزلاء من خلال الدرج فقط. لن يتم إجراء أعمال التجديد أيام الأحد اعتمادًا على الظروف الجوية. وقد يكون هناك أيضًا وصول محدود إلى المبنى والفناء في أوقات مختلفة. لمزيد من التفاصيل، يرجى الاتصال بالعقار مباشرة. هناك أعمال بناء بالقرب من العقار يُتوقع انتهاؤها في عام 2020. لمزيد من التفاصيل، يرجى الاتصال بالعقار مباشرة. I chose this hotel for its proximity to Central Station which was only about 100 metres away. Unfortunately there is construction going on right out the front and up George Street. Although this is no fault of the hotel it makes access a little tricky. We were fortunate to check in early at 1pm. The reception staff were very polite, we were a little surprised to have to leave a $50 deposit but we paid cash and were able to collect it when we checked out. The room was very small and the sliding bathroom door right next to the bed but for 1 night we put up with it. The biggest problem was noise. Our room was to the back of the hotel and appeared to be right next to some sort of fan exhaust or air conditioner which did not let up and even with ear plugs was still noisy - no double glazing here. The fridge was noisy and so was the room airconditioner which we turned off, luckily the weather wasn't too hot so we just had the fan on but it did feel stuffy. Wouldn't stay again. Paid a lot for the room because it was peak season but the room was clean and well-lit, they even upgraded the room of my friend to a bigger room with free wine and chocolates. The staff was also very nice as they made the whole check-in process with ease. However the only downside to this is the location, it is quite near market city but a bit of walk to the main shopping center area in Queen Victoria. When the light rail down George Street is finished, this will be an incredibly convenient hotel for Sydney. The bed was comfortable, the room and bathroom were clean. There is a bar and restaurant and the food is good. Friendly efficient staff too. Couldn't ask for more. Very convenient location with lots of restaurants nearby. Staff are helpful and nice. The GSH really is a Sydney landmark, with it's excellent location, iconic facade and interior, delicious meals and bar. I would recommend the GSH to anyone visiting Sydney, or locals wanting an enjoyable night out. My favourite is the breakfast buffet and amazing, friendly dining staff. Always a pleasure to stay here! I always stay here when on business in Sydney. 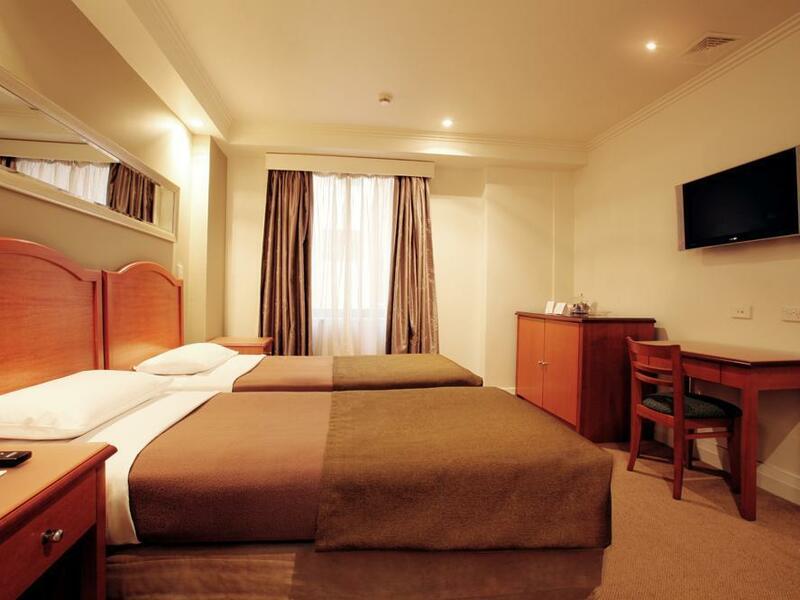 It is conveniently located near Central station. Reception staff are friendly. Rooms are clean and adequate, although I always request a room away from the lifts as they can be a bit noisy. 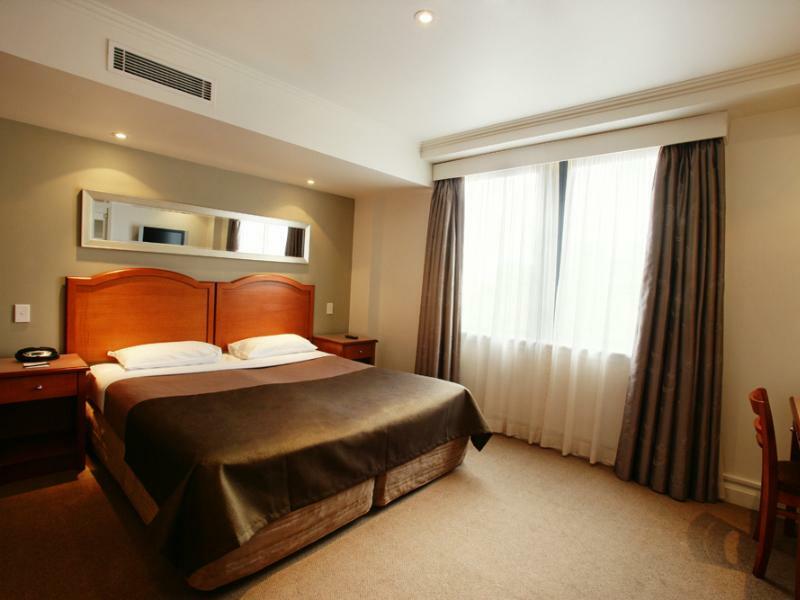 This hotel represents exceptional value for money considering its location in Sydney. I like the location, plenty of good Chinese food around. Next to Central station and Paddy's market. There's underground parking too. I had a room with all antique furniture and quite impressed with how well preserved they are. Bed is comfortable too. No complains. Building is a old, walkway to the rooms are weird, but for the amount that I paid for, don't expect a 5 star luxury. I think it is good place to stay! Central station just across the road. Culinary is every corner. Room is clean, silent, and the bed is comfort. I had a great sleep every night. Its a historic hotel, so its vintage, dont expect a modern interior. Good location, clean room, comfy bed, aircon and hot shower works, enough for me. All fittings and furnishings in my room were brand new and good quality. Spotlessly clean. The room faced directly onto George St, but was quiet due to double-glazed windows. Unbeatable location a stone's throw from Central Station; walking distance to many attractions and transport. Rapid check-in; morning check-out took fifteen seconds. Love the location as its easy access to all major attraction including Darling Harbour and The Rock. Market City is just a stone throw away. You can find all types of food outlet nearby. Central train station is just 2 minutes away. Getting to the airport is extremely convenient. Travel with 3 people include a baby 1 yo. We were 2 women, no one help us for luggages, so the staff of lobby is not welcome! Problem is no wifi for a 4 stars hotel...., furnitures, tv all equipment is fine. Breakfeast was very good. The district is plenty of life for business, shopping and ot far from main parc. The best part about staying here is its great location. It is near paddy's market and to all the good eateries nearby. 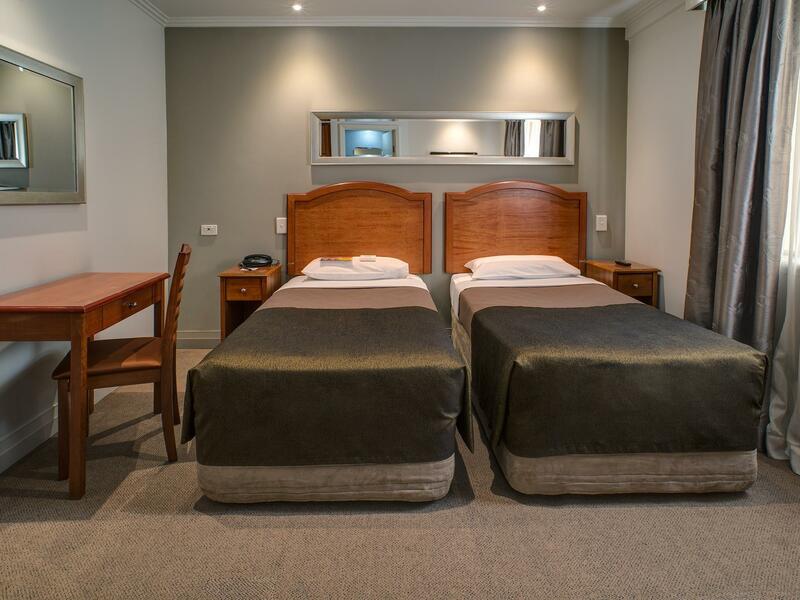 It is near the central location which makes this hotel a great choice especially when you will be taking the railway to other parts of Sydney. My wife and I stayed here as we had a night out and wanted something not too expensive. 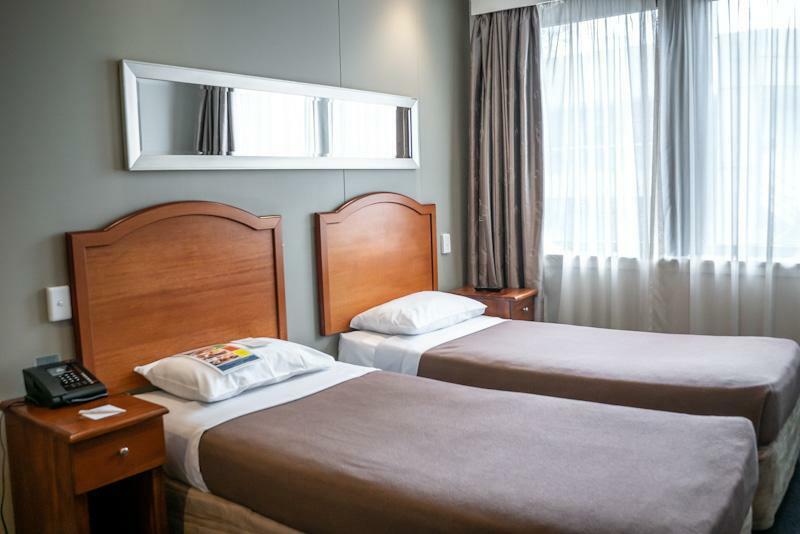 The hotel is very close to the city centre and the fact that it's based in Chinatown, there are no shortages of transport, food and activity options. The room condition was clean and tidy, but I do feel that the 4 star rating is a bit overrated, with 3.5 stars at best. 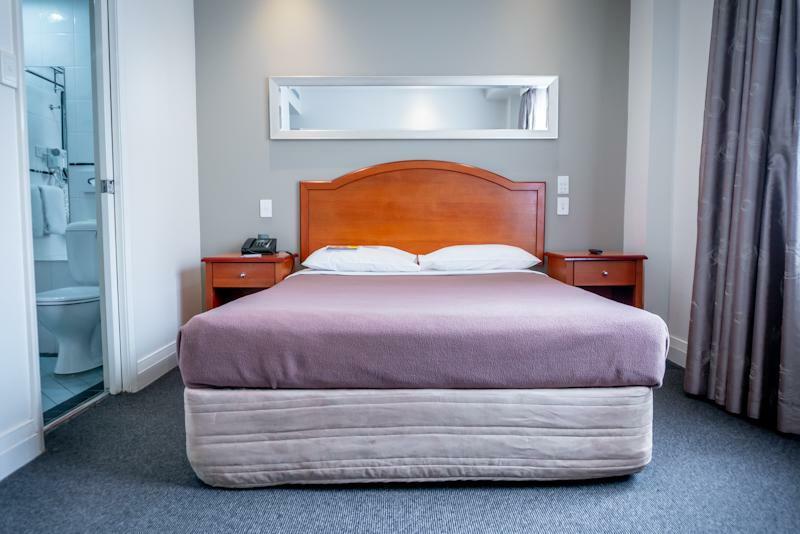 Having said that, that shouldn't be a detractor when considering this hotel, as it is definitely an option to consider if you want a non-fancy accommodation at a decent price per night. 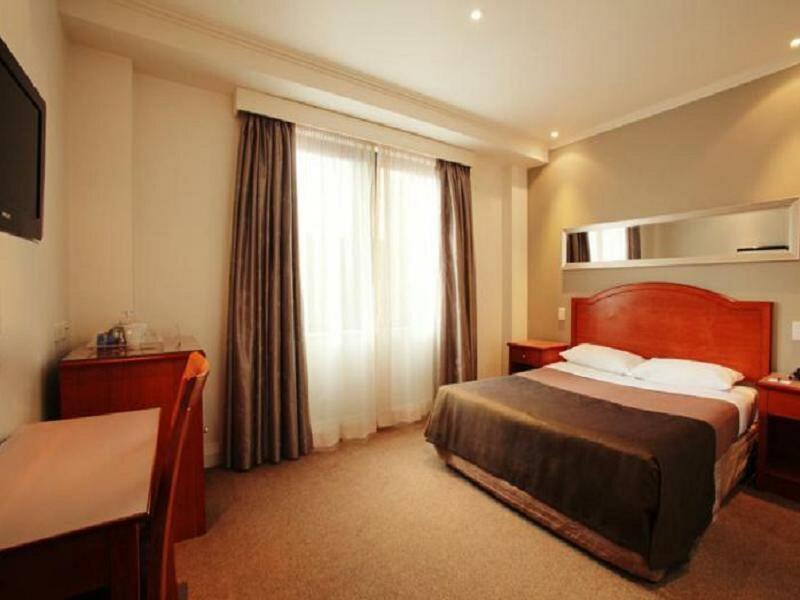 The hotel is very close to Central Station and so is easy to reach from the Airport train - no taxi required. While the rooms are not modern, the one we had was clean and the bed was comfortable. The bathroom had been renovated and was very clean. A pleasant surprise was the provision of a face towel, not many of the cheaper hotels provide them. Lots of hot water, good pressure. Bathroom is not large but is big enough. We had the quick, on-the-go breakfast sandwich and coffee for $10, which was so huge I couldn't eat lunch. If all the rooms are like the one we had I would have no problem in recommending the hotel. Value for money as the Central Rail & LightRail station is just 3 mins walk away! Chinatown is around the corner and you can walk to most of the main attractions from here! You can also take the rail to everywhere and it is very convenient! The room is not too bad and it is really worth the price! I recommend this place as it is comfortable and convenient for us!